If you’re like many people in the midst of these cold winter months you may often find your thoughts turning to warmer temperatures and locations. We’re on board to help you with that — it’s what we do best. 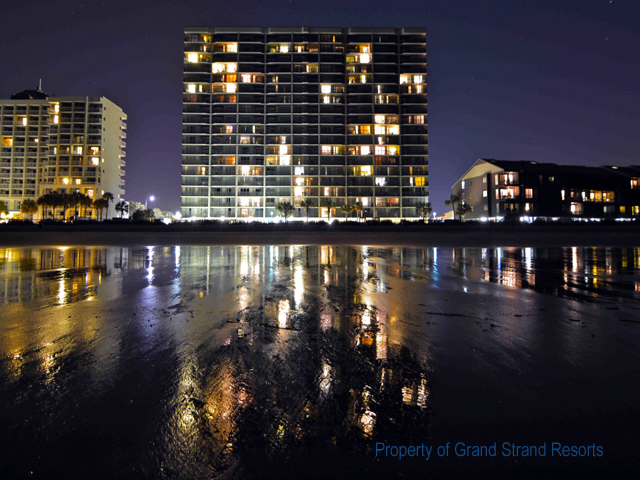 Our rates are in place for our Myrtle Beach Rentals 2015 condos and we’re rapidly accepting reservations. The best part is, if you book now you can save a whooping 25% off summer rentals by arriving May 30 for your week’s stay! Stay at the Ashworth Resort and you’ll be located oceanfront along the very popular Ocean Drive section of North Myrtle Beach. Each of these 2-4 bedroom condos comes with their own private where you can sit back, relax and enjoy the phenomenal coastal views. Amenities here include free high speed Internet in every unit and at the pool deck, fitness center, a 200’ lazy river, an outdoor pool, hot tub, kiddie pool and a covered pool that is enclosed during the winter months. You’ll be just a short walk to the Ocean Drive section of North Myrtle Beach where you’ll have restaurants, Shag clubs (the official State dance of South Carolina), and The OD Amusement park to make the most of. At Crescent Shores you’ll not only be oceanfront but you’ll also be located just 5 minutes North of Barefoot Landing and the shopping, dining and entertainment that’s to be found there. Crescent Shores gives you your choice of 2-4 bedroom oceanfront condos along South Ocean Boulevard. 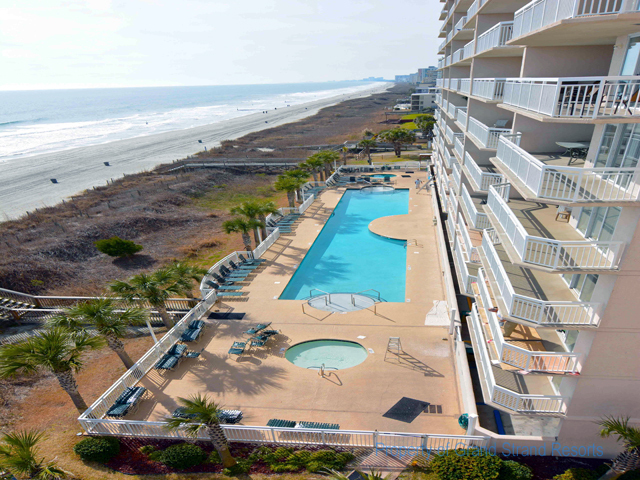 Its two towers overlook a lazy river, oceanfront pool and miles of shoreline. Amenities include the 200’ lazy river, a 110’ long pool, hot tubs, kiddie pool, indoor pool, exercise room and washer/dryer in units. In addition, you’ll enjoy free high speed internet, master baths with Jacuzzi tubs and walk in showers, and the private 26’ long private balcony each unit has. Kitchens come with granite countertops, ceramic tile and everything you need for complete meal preparation. If you’re looking for accommodations that offer king size beds, this is the place to stay. Here’s the place to stay if you want to keep active while you’re in the area. 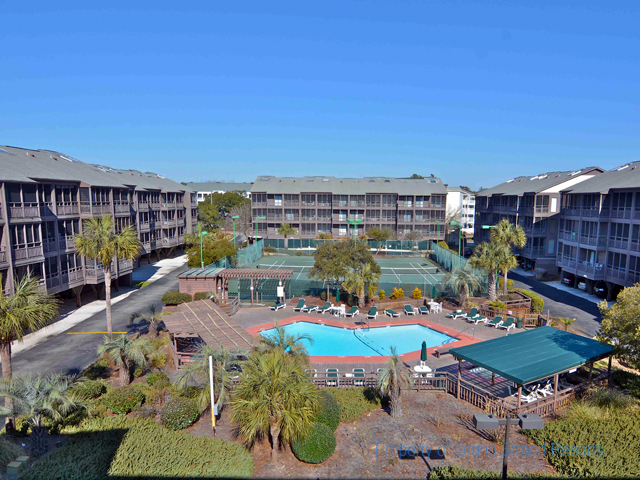 Located along the popular Ocean Drive section of North Myrtle Beach, Tilghman offers guests three bedroom, two and a half bath units that will accommodate up to 8 people. The lifestyle amenities include two tennis courts lit for night play, an oceanfront pool and a courtside pool, two hot tubs, and two kiddie pools. In addition, you’ll have free high speed Internet, cable TV/VCR/DVD and a washer/dryer in each unit. The well-appointed and beautifully decorated Tilghman condominiums are ideal for budget minded families and for those not wanting to stay in a high-rise resort. Tilghman offers the convenience of being just one block away from the Main Street/Ocean Drive area where you’ll find restaurants like Duffy Street Seafood, Giorgio’s Pizza, Flynn’s Irish Pub and many others. 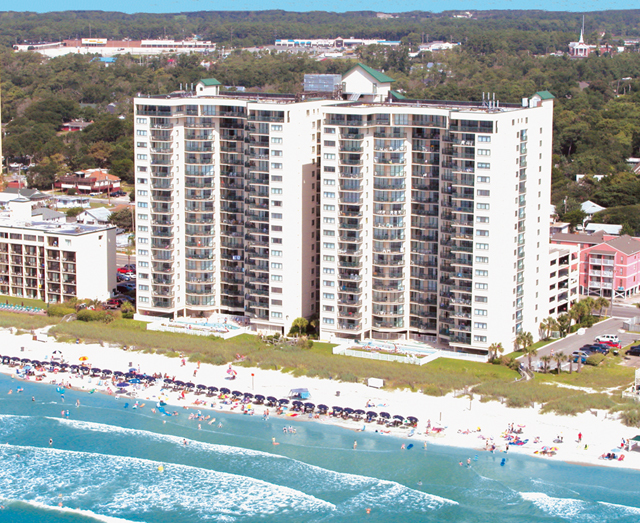 Another outstanding oceanfront resort along South Ocean Boulevard is the Ocean Bay Club. Three and four bedroom units each with three baths are well-equipped and can accommodate 8-12 people. With master bedrooms offering both a whirlpool garden tub and shower, you’ll be pleased no matter which you prefer. Amenities include high speed Internet, kitchen & breakfast bar, cable TV/DVD, microwave and dishwasher. Enjoy the outdoor pool, heated indoor pool, hot tub, lazy river, kiddie pool and the exercise room awaiting your arrival. The Ocean Bay Club is located just minutes away from Barefoot Landing and all of its entertainment, dining and shopping. You’ll be just a short walk to Main Street where you can enjoy the abundance of shopping and dining venues and, during the summer months, the OD Amusement Park. With an on-site golf department we’re ready to assist you with finding the best golf deals and booking any courses you may want to play. If you have any questions that aren’t answered on our site, please feel free to give us a call anytime at 800-367-6515. We’d love to talk with you about our great rentals.